Feeling hesitant about calling for shelter? The staff at My Sister’s Place work hard each day to provide a comfortable space for our clients. We are located in a four-bedroom home in Athens, Ohio. The location of our shelter is kept confidential, for the safety of our clients and staff. Parents and children stay together in a bedroom and have access to a shared bathroom across the hall. Staff and residents work together to keep our space comfortable, with daily chores shared by all. Residents have ready access to licensed mental health counselors, a case manager, a court advocate, and 24-hour shelter staff. Our case manager and a counselor will work with you to identify personalized goals for your next steps and will provide support and referrals to get you there. If you have additional questions about what a stay at My Sister’s Place might look like, don’t hesitate to give us a call. Someone is here 24 hours a day to speak with you. 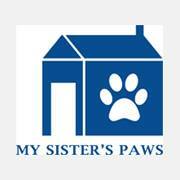 The My Sister's Place phone number is 1-800-443-3402. Whether you would like to talk about coming to shelter, schedule an outreach or court advocacy appointment, or just discuss what is happening at home, all of our services can be accessed through our hotline. Around the clock, a trained staff person is here to talk through your situation with you. After some brief information about your situation, our shelter aide can assist with making an appropriate referral. If you are calling to request shelter, a few additional questions will make sure this is the right fit for you. If you are calling to request counseling or an appointment with our court advocate, the shelter aide can schedule a time for you to meet. Although My Sister's Place is primarily known for being a shelter, we acknowledge the range of experiences affecting victims of domestic violence and recognize that shelter may not be the right answer for everyone. Some people experience violence at home but, for various reasons, decide they are not ready to leave the relationship. Others find that even after they leave, they continue to struggle with the effects of abuse. My Sister's Place has licensed counselors available to meet with you outside of the shelter setting. Meeting sites are confidential and if you are in Hocking or Vinton County, we can come to your home community. ​Navigating the court and legal system can be discouraging and confusing if you do not have a legal background. My Sister's Place has a court advocate to assist victims of the crime of domestic violence. If you are living in fear from your abuser, it may be possible for you to obtain a protection order against this individual. If you have sustained injuries or other costly effects of abuse, you may be eligible to make a victim compensation claim. Our court advocate can assist you with these applications and answer questions about legal processes that are common to those experiencing abuse at home. Unfortunately, pets are often the target of family violence or can become part of an abuser's controlling behavior. Many victims of relationship abuse have had the lives of their pets threatened or have seen harm done to an animal at home. Often, victims choose not to come into shelter because of these threats. To remove this barrier, we have constructed a shelter on-site for pets of shelter residents. If you need shelter and have an animal in danger that you'd like to bring with you, please discuss this with the person answering our hotline for more information. This shelter was funded in part by the Kenneth A. Scott Charitable Trust.